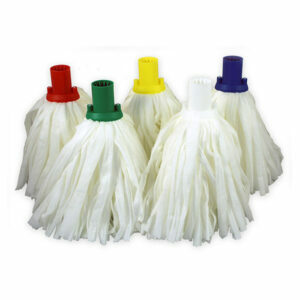 Super White Mops offer a low cost alternative to cotton mops. They are absorbent, machine washable & provide great dirt collection. Super white mops offer an alternative to cotton mops. They are more absorbent, machine washable and provide great dirt collection. The ‘RHP’ socket is designed to be compatible with most types of hygiene or wooden handles (including Exel). The adaptability of the sockets removes the need to purchase new handles. 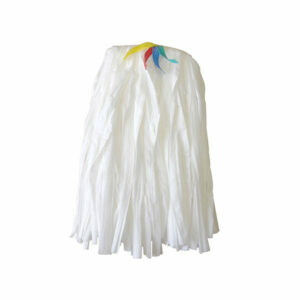 Super white mops offer an alternative to cotton mops. They are more absorbent, machine washable and also provide great dirt collection.